0.5% increase in conversion rate could mean 100% increase in sales! We combine the science of SEO with heat maps, traffic flow analysis and testing to optimize user journeys. We will boost your conversion rate, tilting the sales in your favor. Here at Commerce Cabin, we live by the uncomfortable truths: such as the fact that no matter how much you traffic build for your website, your efforts will go to waste unless you back them up with a conversion plan. That’s where conversion rate optimization becomes so important. To us, SEO and CRO aren’t just two separate entities – they’re the key materials to a harmonious painting, and we’re here to be your artists. With your website and business as our canvas, we’ll help you take your visitors through a simple, comprehensive, effective sales funnel that will boost your profitability, and make the most of your content efforts. How? Through effective, researched, precise testing and careful optimization. Optimizing conversion isn’t quite like optimizing content. Search engines are tricky, but they’re generally reliable. Your demographic makeup, however, is a dynamic and changing human audience, with complex consumer behavior and changing patterns. Figuring out how to best use your business’ resources to tilt the sales odds forever in your favor requires expertise, and we have plenty of that. Conversion rate optimization is art, and we’re passionate about our collection. With decades of combined experience, we at Commerce Cabin approach every individual conversion optimization project with an individual, unique plan, and with a combination of data analysis and passionate testing, we ensure that every end results – albeit different and unique – leaves your website with a massively improved sales funnel, and a huge return on investment. The typical conversion rate optimization agency drains your resources as it aimlessly goes up and down a list of recommended Best Practices, looking to optimize this or that based on a rulebook. 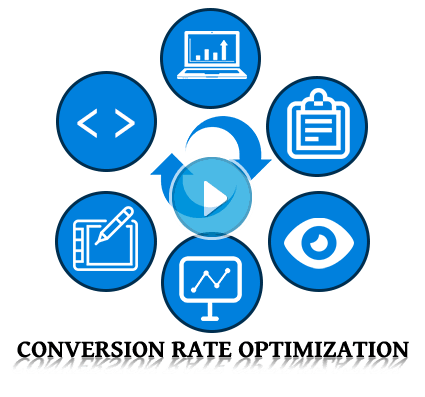 Getting visitors to convert is never easy, but by trusting us and making us at Commerce Cabin your CRO partners, we can concentrate on producing impressive results. Don’t just listen to the hype: sign up today, and watch us get started with the magic.